New Delhi: With 8.8 gigawatt (GW) of capacity addition projected for the year ahead, India is set to become the third biggest solar market globally in 2017, overtaking Japan, according to the India Solar Handbook 2017 released by Bridge to India (BTI) on Monday. The report by BTI, a consulting firm in India’s clean technology market, said solar capacity in the country is expected to touch 18.7GW by the end of 2017, which is about 5% of global solar capacity. As of March 2017, India had installed 12.2GW of utility scale solar. In June 2015, the government had revised India’s solar power target to 100GW from 20GW, by 2022. The report said the “total new solar capacity addition in the next five years is expected at 56GW". This, however, implies that India would fall short of its 100GW target. 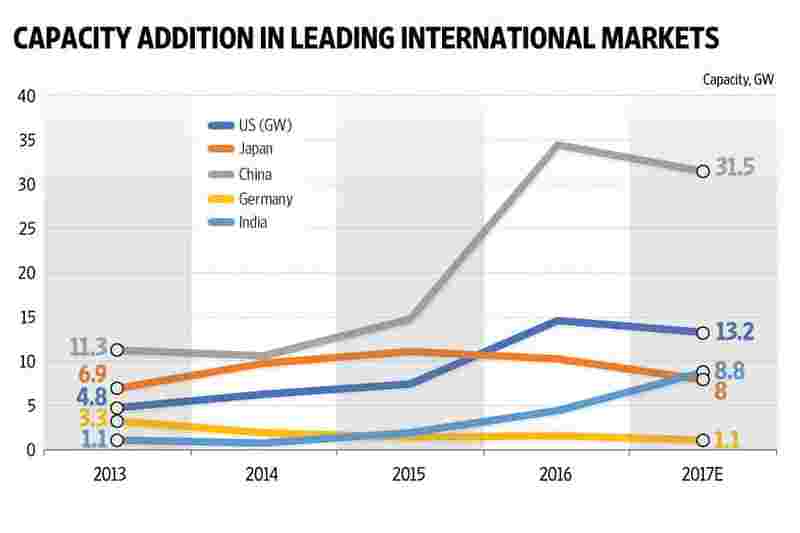 According to the BTI report, about 79GW of solar capacity is expected to be added globally in 2017, with Asian countries continuing to dominate the industry while Europe continues to fall in rankings. 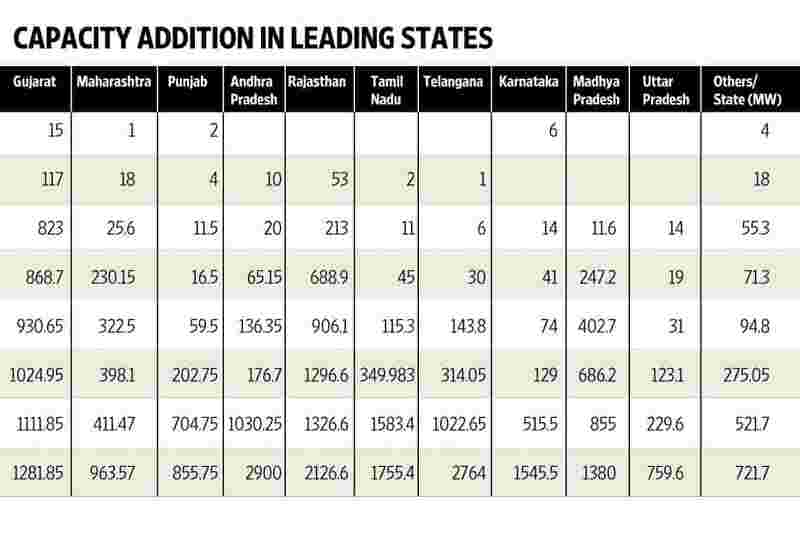 In India, the states of Tamil Nadu, Andhra Pradesh and Telangana have emerged as the fastest growing in terms of solar power capacity addition. In 2017 nearly 60% of total new capacity addition is expected to come from the southern states, the report added. “Indian solar market has grown by an average 72% in the last three years and is now worth approximately 8-9GW per annum. Growing market size and strong government commitment to the sector have attracted the world’s leading private sector players as well as resulted in lower tariffs for consumers. As the sector matures, however, there is a formidable new challenge arising in the form of how to absorb rising share of intermittent energy into the grid," said Vinay Rustagi, managing director of BTI. 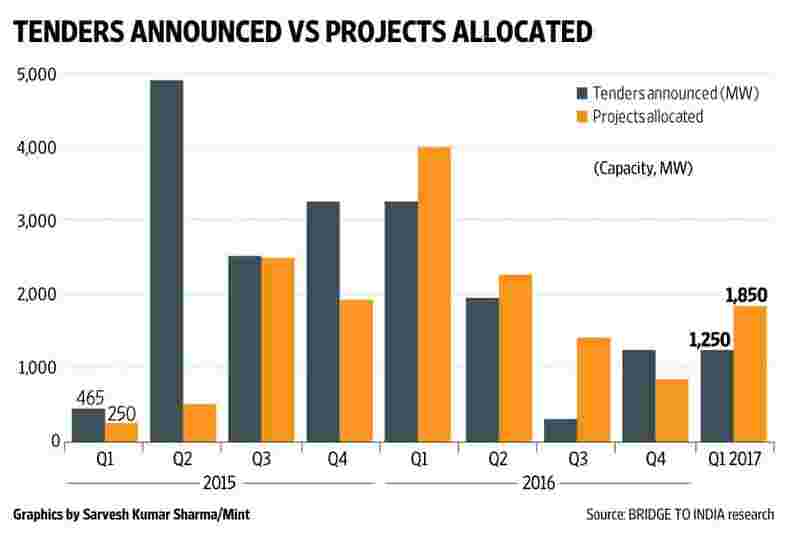 “There is more optimism about rooftop market with expectation of 12GW to be added by 2021. The biggest concern for the sector is grid integration of growing renewable capacity followed by poor financial condition of DISCOMs, notwithstanding the progress made on UDAY reform package," Rustagi added. The report also included Indian Solar CEO Survey according to which about 45% of the respondents felt that poor net metering implementation remains a major challenge for growth of the rooftop solar market.